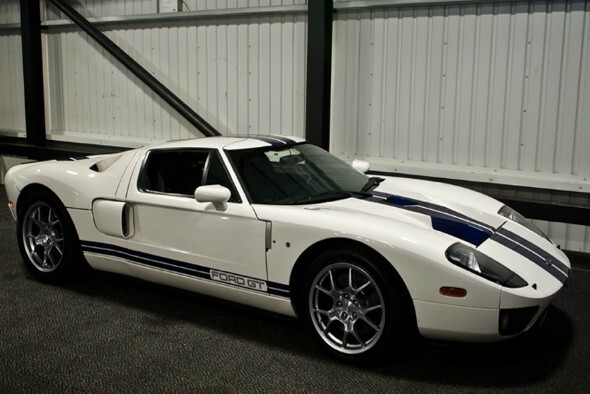 A Ford GT first owned by Formula 1 star Jenson Button has gone up for sale for £130,000. The new owner will become the third name on the log book, with Button having taken delivery of it new before selling it on. The 129,995 being asked for it by Project Kahn - that's the same Project Khan responsible for madness like this - appears to be good value, with some GTs of similar age and mileage cars selling for slightly more. 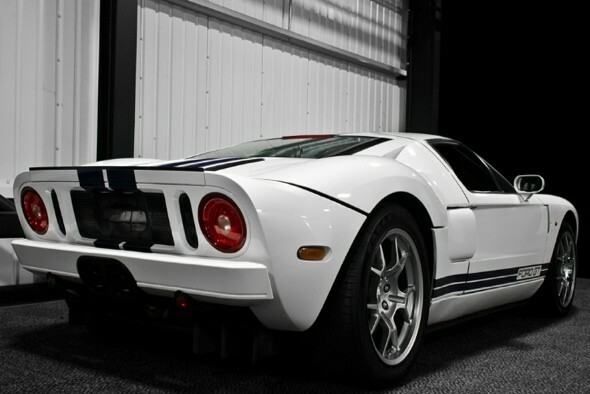 The white GT has 3,728 miles on the clock and was registered by the British F1 former champ in 2006, though it's not clear how many of those were driven by Button himself. Unusually, Kahn has decided not to festoon this particular supercar with its own brand of aftermarket appendages, so it's in original and "immaculate" condition. Had Button paid for it himself (it's not clear whether he did) he'd have written a cheque to Ford for £120,000 or so, meaning the car's value has risen by around £10,000 in five years; Project Kahn owner Afzal Kahn reckons its value will increase by around ten percent every year. The GT has a 5.4-litre V8 with 500bhp, meaning the car will hit 62mph from zero in 3.5 seconds, and 100mph in just under eight.